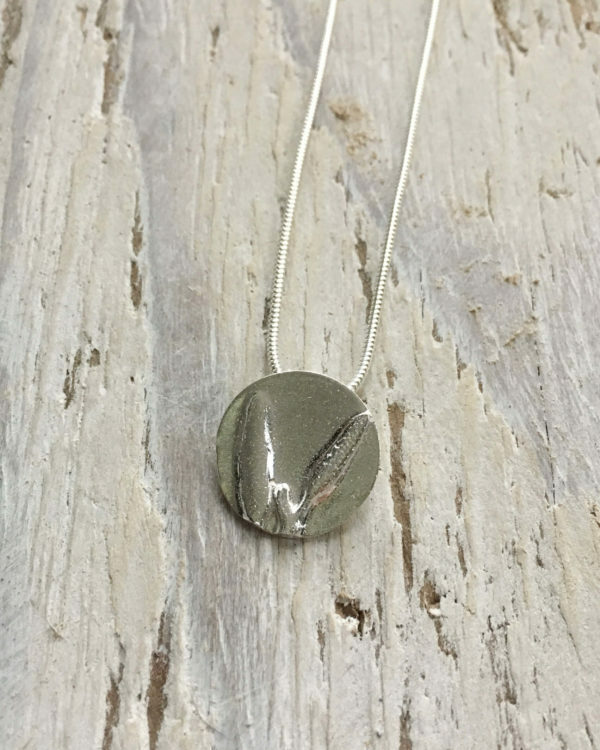 The Sea Oak pendant is hand made from recycled fine silver. The circle measures approximately 16 mm in diameter. 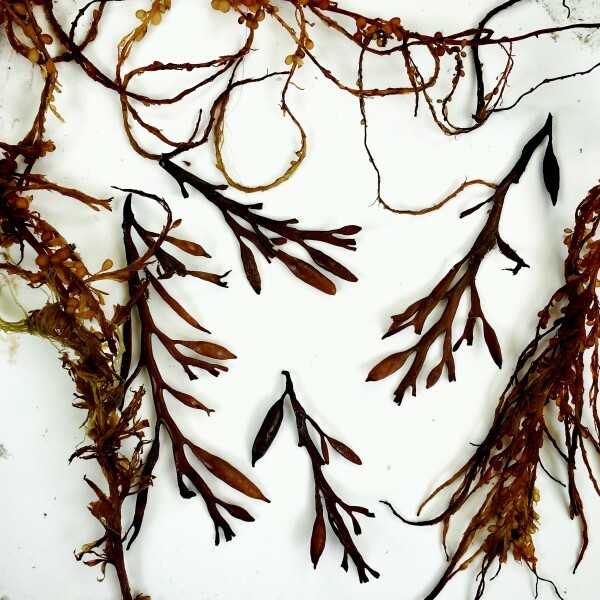 It’s textured with sea oak seaweed, which was found at Cei Bach near Newquay Ceredigion. This pendant is ready to be dispatched and will be posted within three working days of your order. You can choose to have the pendant on a 40cm or 45cm sterling silver snake chain. 10% of profits from this pendant go to the Marine Conservation Society to help with their amazing work protecting our coasts and oceans. 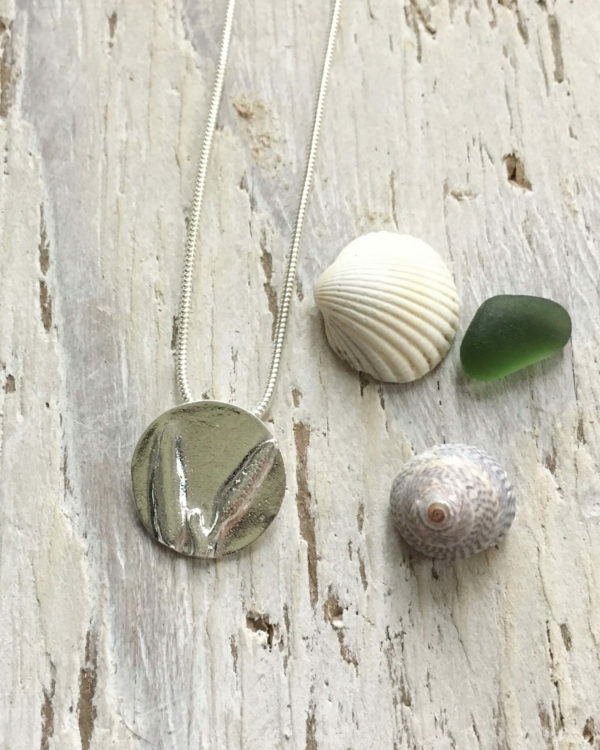 You can also choose to have your pendant delivered in either a recycled box or a cotton drawstring bag.